Are you over 50 and live or work in Darwin City? 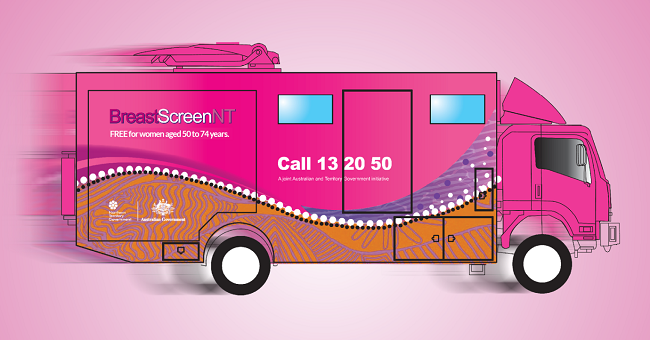 The BreastScreenNT Bus will be offering free screening in Darwin on the lawns of Parliament House from Monday 3 to Friday 7 April. Women aged 50 to 74 years are encouraged to have a check every two years. Don’t miss out - appointments are filling fast! Book today, call 13 20 50.